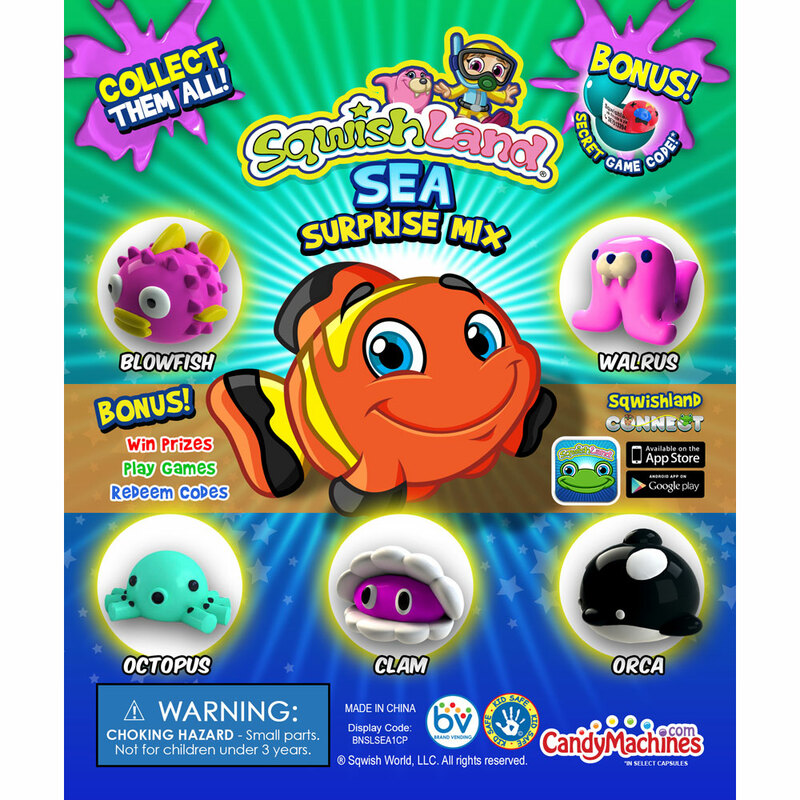 This Package combines 2 of our BasicPro models with a SuperPro machine to make an ideal "all-in-one" set up to offer the complete Sqwishland Sea toy capsules in both sizes. 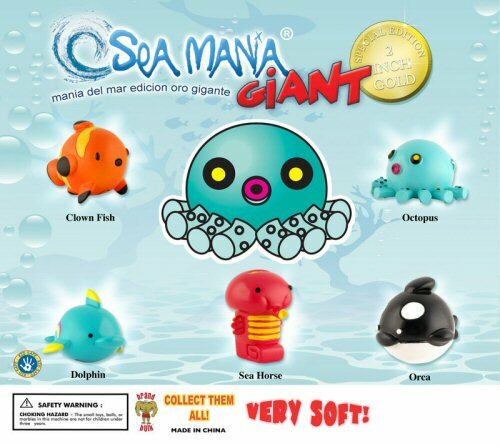 The middle machine dispenses 2-inch Sea Giant for a 75 cent vend. The two smaller outside machines vend Sea and Sea 2 for 50 cent vends. 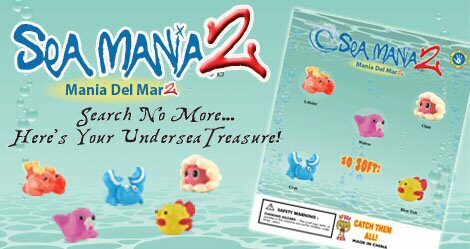 The Sqwishland Sea Package includes 1" Sea Mania Vending Capsule with display card, 1" Sea Mania 2 Vending Capsules with display card, and 2" Giant Sea Mania Vending Capsules with display card. Easy set up requires only a screwdriver. Replacement parts available. Limited lifetime warrantee against manufacturer defects under normal working conditions and ordinary wear and tear..